The Lackmond BP7 7 in. 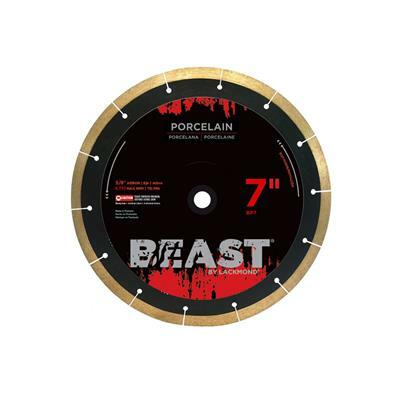 BEAST PRO Series Hard Porcelain Blade is designed to cut porcelain, marble, granite and ceramic tiles. The thin kerf cutting edge allows for a clean, fast cut with virtually no chipping. The Beast porcelain tile blades are engineered with a reinforced silent core hub which ensures straight cuts and greatly reduces noise.